The Google Latitude iPhone app is here and you can use it to connect and share where you are, letting your friends and family keep in touch with you. 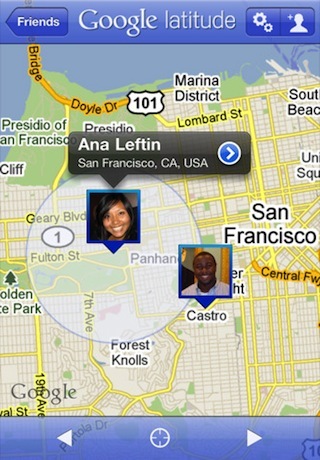 The Google Latitude app can either show your friends on a map, which you can then use to meet them in person. For your privacy, the app lets you share specific parts only like for example just the city where you are, as opposed to the exact address. You can choose to share your location with anyone you want to keep in touch with. specifically. 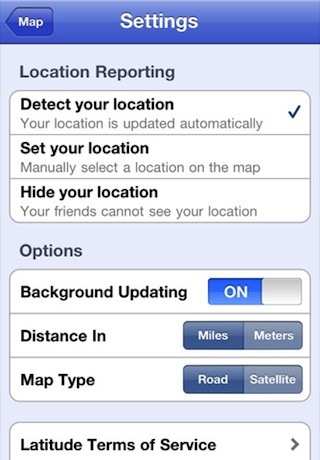 Updates can occur in the background if you let the Google Latitude app do so, or you can disable updates in the background. Sign into Google Latitude using your Google account, and use your contacts to invite friends to your network. The Official iPhone app is an improvement on the web based app and a welcomed addition to existing Google based products on iOS devices. AppSafari review of Google Latitude was written by Joe Seifi on December 13th, 2010 and categorized under App Store, Chat, Local, Maps, Social. Page viewed 6160 times, 1 so far today. Need help on using these apps? Please read the Help Page.